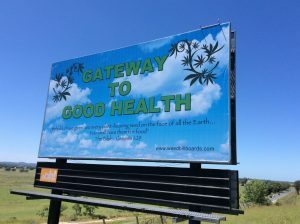 Whether you love or hate the idea, ever-controversial medical cannabis looks like it’s here to stay, and in Nimbin, the HEMP Embassy’s mission is to keep you well informed on the subject. A former conservative leader of Queensland says drugs and their use should be legalised. The phase 2 trial will examine whether high THC medicinal cannabis* can be tolerated by people with glioma (a type of brain tumour) and if it can affect tumour growth when taken with standard treatment, according to lead researcher Dr Janet Schloss, the Clinical Trials Coordinator at Endeavour College of Natural Health. (*THC is the main psychoactive ingredient of cannabis). Liberal Democrat senator David Leyonhjelm is keen on legalising cannabis in NSW as he quits federal politics to contest the state election. WA is on track to have an important and profitable hemp industry, after big increases in the number of growers and hectares planted this year. According to HempGro, the recently formed WA hemp growers’ co-operative, active licensed growers increased from 39 to 70 in 2018, and hectares planted grew from 77 to 193 compared with a year earlier. Bill Barr, President Donald Trump’s nominee for US attorney general, told the Senate on Tuesday he would not bust marijuana businesses that abide by state legalization laws. “I don’t think it’s appropriate to upset those interests,” Barr told the Senate Judiciary Committee in a confirmation hearing, citing a policy of tolerance toward marijuana established under the Obama administration. Budget reveals diminished projection as illegal market still flourishes. Rhode Island Gov. Gina Raimondo on Sunday announced she would formally propose in her budget this week to legalize recreational marijuana. Raimondo said it was “inevitable” that Rhode Island would soon be encircled by states with legalized marijuana, requiring that Rhode Island to do the same. Canadians spent $1.6 billion (£938 million) on legal weed in 2018, more than double the amount that was spent on solely medical cannabis in 2017, according to a new report. New York Gov. Andrew Cuomo on Tuesday outlined his support for adult-use cannabis legalization in the state, estimating it would reap $300 million in tax revenues which would be deposited into the “Marihuana Revenue Fund” after enforcement costs and funds for alcohol and drug abuse programs. 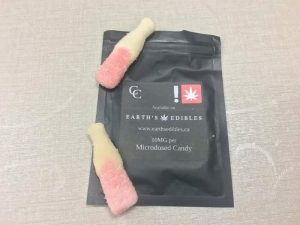 Liberal MLA Jas Johal is calling for pot enforcement now, after several small black packages with “microdosed candy” were placed on the windshields of cars parked outside a Vancouver marijuana conference over the weekend. Former boxer Mike Tyson launched a marijuana-focused podcast. As cannabis reform sweeps the Caribbean, Trinidad and Tobago has announced it will hold public consultations on the matter, prior to decriminalising the drug for personal use in June 2019. The Thai Food and Drug Administration (FDA) is preparing draft regulations to support the upcoming launch of medical-marijuana farming. Finance minister Mthuli Ncube has backed calls for Zimbabwe to grow cannabis for export to take advantage of the growing global legal marijuana market. Speaker Gloria Macapagal–Arroyo on Tuesday vouched for the effectiveness of marijuana for medical purposes and admitted using a marijuana pain patch for her spinal condition when she is in a country that allows it. One after another, Asian nations are rethinking their stance on marijuana. Growing commercial acceptance and promised economic gains of legalization have spurred a wave of liberalization that has seen a rising number of industrialized countries allow the use of marijuana for medical and recreational purposes. Pot has gone from illicit substance to up-and-coming commodity in the span of a few years as global investors, portfolio managers and high-ranking executives tread on what was once the turf of the neighborhood dealer. Medicinal cannabis is creeping up the European Union agenda as legislators prepare to divert cash into research of the drug and begin laying the groundwork for a harmonized set of laws across the bloc. Health committee politicians in the European Parliament, the EU’s directly elected legislative, voted in late 2018 to approve a draft resolution on the use of cannabis for medicinal purposes, and now the proposals will head to the bloc’s executive to be turned into a concrete proposal. A delegation of Chinese entrepreneurs and academic researchers in the fields of technology and agriculture will meet cannabis researchers in Israel next week. The delegation is also set to meet with Israeli firms working in the field, including pharmaceutical companies and those developing technological innovations in the medicinal use of the plant. There is a “serious cultural block within the NHS around medical cannabis”, according to MPs. The criticism comes after it emerged that the family of the first child to be prescribed medical cannabis after its legalisation must pay almost £10,000 a year to access the privately prescribed medicine as they follow a bureaucratic “assault course”. Weed influencers use social media to post about anything weed-adjacent. Sometimes that’s discussing specific strains, recommending stores in their areas to get paraphernalia or products from, or reviewing equipment or edibles. They tend to be young women and mainly post on YouTube and Instagram. One reason weed influencers are on the up is the difficulty of marketing cannabis even in places it has been legalised, including Canada and certain US states. Farmers, food makers rush into potentially volatile market for products containing cannabidiol. Shoppers Drug Mart’s e-commerce platform for medical cannabis launched Tuesday, a month after Health Canada licensed the company to sell the product online. Product information is available nationally, but Shoppers Drug Mart can initially only sell medical cannabis to patients in Ontario. Those who partake in heavy alcohol drinking and also use cannabis are at a reduced risk of developing pancreatic gastritis and alcoholic gastritis compared to heavy drinkers who don’t use cannabis, according to a pair of new studies published in the journal Alcoholism, Clinical and Experimental Research. Cannabinol, also known as CBN, is a cannabis-derived compound that’s been linked to helping with sleep — and is also being hailed as the next big thing in wellness. While CBD is more associated with general calming and relaxation effects, CBN is being incorporated into new products like oils and sublingual strips as way to assist in getting a better night’s sleep.